Acrylic freestanding baths are easy on the eye, body and your pockets. They are also very durable, known to retain heat, low in maintenance and light-weight. All these reasons make it clear why these tubs are so popular in the market. If you are in double-mind whether you should get one installed or not, here is a post which could help you make the right decision. Acrylic Freestanding Baths - An Insight! Acrylic freestanding baths are manufactured from acrylic sheets typically 4.5mm to 8mm in thickness. These sheets are reinforced underneath with the help of a steel or wood support and come coated with fibreglass reinforcement. At a budget-friendly price, these tubs are sufficiently strong and resilient. Being a crowd favourite; you may find these baths can be moulded in all shapes and designs. Plus their design is such that it can fit into any given interior/bathroom decor. 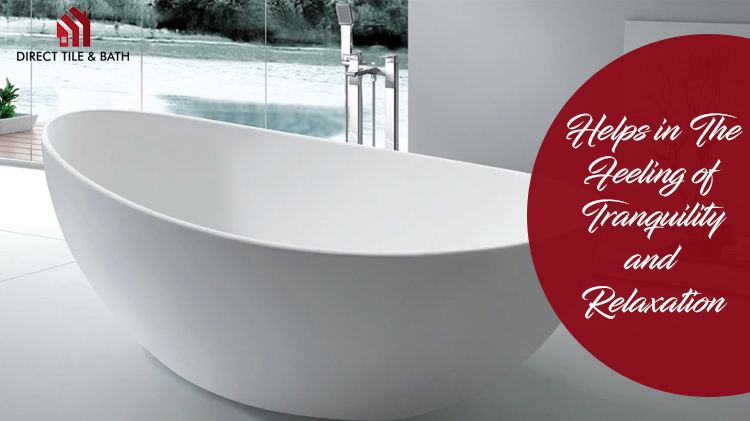 Acrylic baths are non-porous, and that prevents the growth of bacteria and germs on its surface. This makes it very easy to clean, maintain and polish without causing any scratches. These freestanding baths are warm in touch in comparison to their steel counterparts. After a long tiring day at work, there’s no better feeling than to soak your body in lukewarm water. These tubs are excellent in transferring heat quickly, and so it doesn’t stay cool for long. This is perfect if you wish for home spa indulgence. In terms of appearance, acrylic tubs mimic baths made with cast iron and bring the advantage of timelessness, richness and authenticity. On installing it into your homes, it will surely prove to be the focal point of your home decor. Acrylic baths are lightweight in comparison to cast iron tubs, and that makes the installation simple and profitable. At Direct Tile And Bath, we present you with a wide range of acrylic freestanding baths at budget-friendly rates. From 1500mm classic tubs to 1800mm oval freestanding baths, we provide you baths which are perfect for bathrooms having limited space. 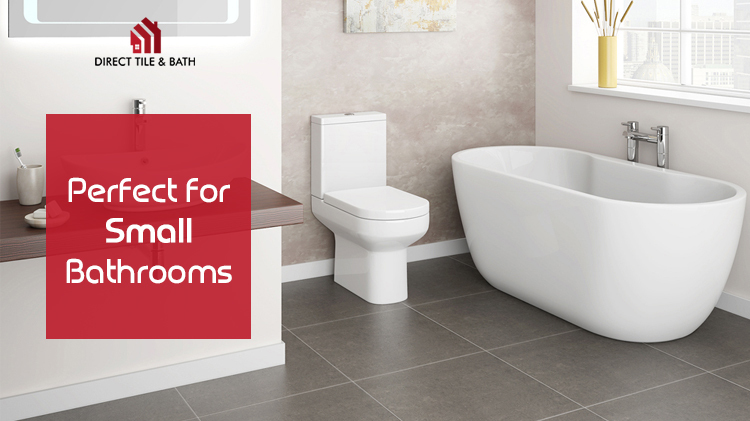 Determine the right size of the tub depending on the available space on your bathroom. Select the shape and slope which matches up to your needs. 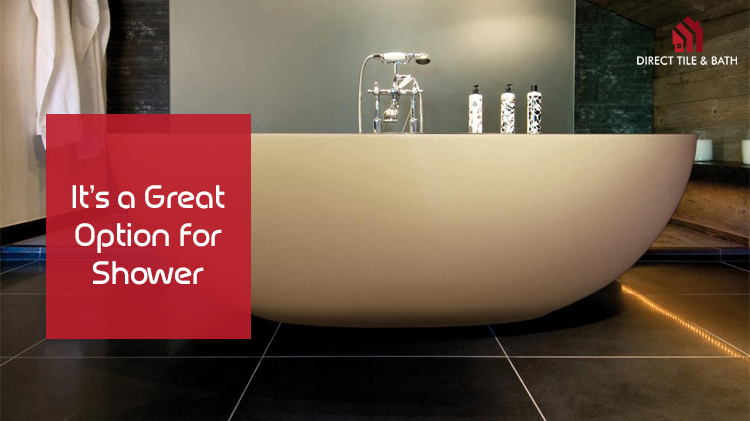 When selecting the weight of the tub check if your floors can withstand its structural weight. That being said; you can always call our professionals to perform an inspection if you are not sure of the weight. Lastly; you should check the height and depth of the tub. For the height, check the tub elevation, tub surround and ensure that you have enough structural support. 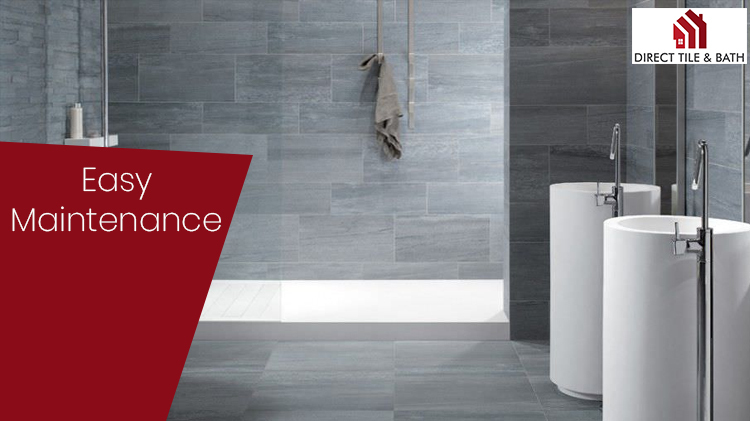 For the depth, you can choose tubs with 18-22 inch deep, as per your requirements. 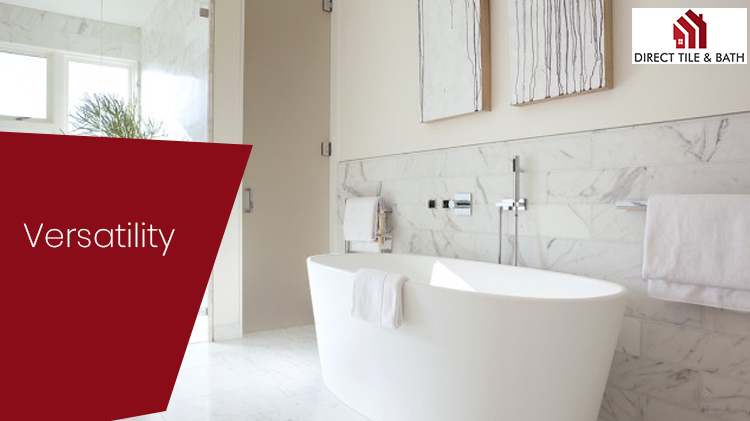 These are some of the key aspects that you should consider before choosing bath tubs in Perth for your bathroom space. At Direct Tile And Bath, we get new stocks arriving frequently. Plus we also present discounts to cut down on your costs. Feel free to check out our bath designs anytime you feel. Bathroom Renovation & Freestanding Bath: Why Are They Inseparable? ‘Bathrooms and bathtubs’: You can call it a title of a story worth telling. But, coming to the point of the project of a bathroom renovation, freestanding baths offer more than usual. The matter is quite simple. Although people think showers and other options as qualifying and lavish for a number of reasons, but freestanding baths actually promise a lot to relaxation and aristocracy. Plus, their design trends add that scenic serenity to your bathroom too. Wondering why a bathroom renovation project must have the presence of a freestanding bath? Read to find it out. Clear your mind. You’re about to get mesmerised. The fact is that freestanding baths are specially designed baths that offer you a range of multiple attributions in singular form. The first thing everyone would admit about a freestanding bath is that they are really trendy. Their style sticks close to the most modern fashion. One gets a very strong atmosphere of edgy elegance in the bathroom. Isn’t it usual to make a modern bathroom a bit more relevant with the use of a trendy freestanding bath? In any bathroom, freestanding baths come as one of the leading options for renovation purposes because of one, simple reason. They are offered in a variety of shapes and sizes and STYLES. In this respect, one can fit a freestanding bath in a bathroom according to the style and type of the latter. No wonder this is a very flexible advantage. One can easily install a freestanding bathtub in any location inside the bathroom since their design and compact (yet spacious) structure fits them visually and functionally in any place. One can install them near the windows if exposure to light is important. Otherwise, the middle part would be okay for a classic look. Most freestanding baths come with easy fitting options and installation processes. There is a misconception among various people that freestanding baths drain a person more money due to its extensive installation process. The source of this wrong idea also owes itself to the inaccurate consideration of people about the extensive installation of baths due to their trendy designs. Well, to your surprise, installation of freestanding baths is the easiest stuff. Hence, it makes your bathroom renovation in South of River in Perth more convenient and fast. So, time to drive out all those worries and choose the freestanding bath your bathroom requires! The fact about bathroom renovation deserves a lot of things. One of them is surely a freestanding bath. Here is where you are assisted a bit more. The variety of trendy and classy freestanding bath offered by Direct Tile and Bath would cover more than your expectations. The products at this brand have been successful to earn a good reputation. 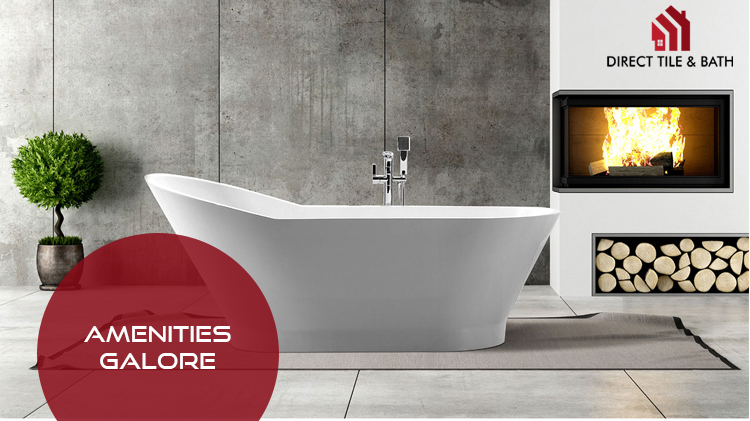 Attractive freestanding baths with its tag are being purchased and supplied to various regions of Australia. So, the good advice that can be provided to you is that you should not waste time and visit the company’s website. 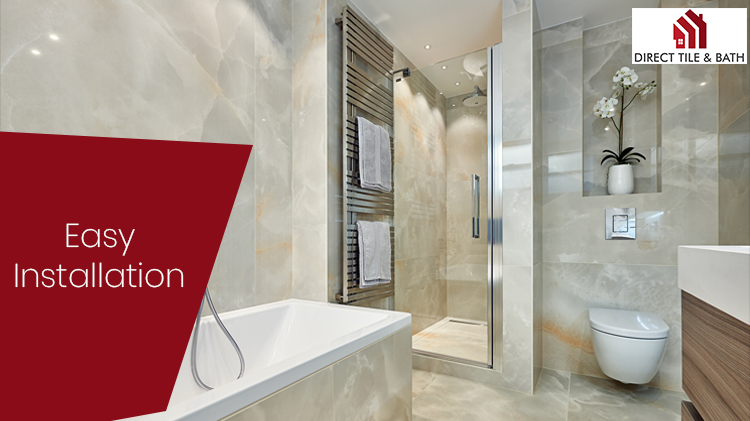 It is time you finalise both your purchase and bathroom renovation.